Countries are setting out their positions in Lima to negotiate a global climate deal in Paris at the end of next year amid increasingly alarming science and sharply rising carbon emissions. Global climate talks have been meandering for two decades with few successes and many failures. 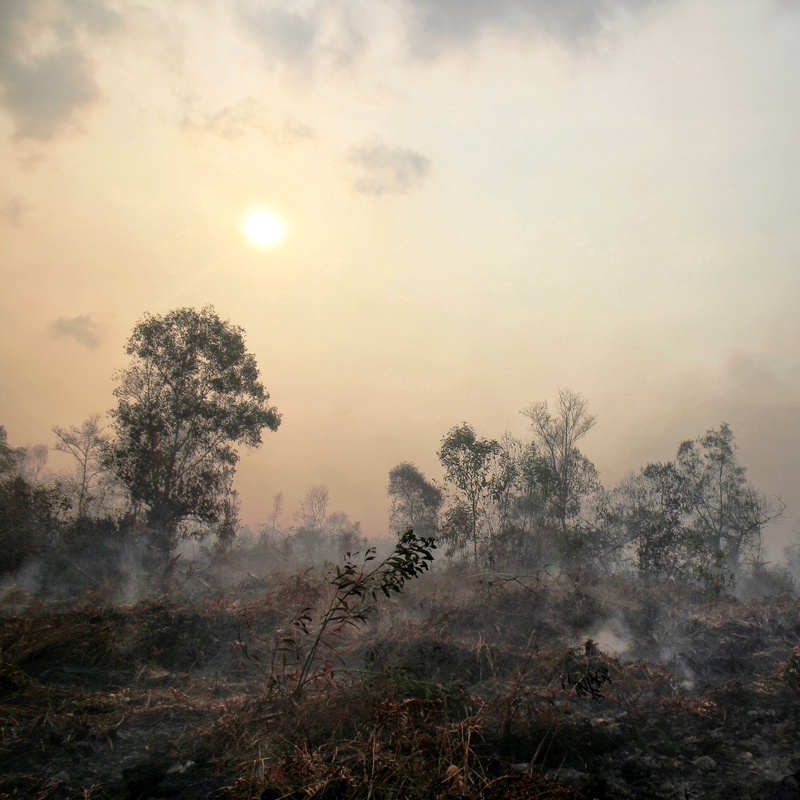 Meanwhile greenhouse gas emissions have risen sharply to break through the 400 parts per million barrier, the UN warns that climate change is already evident and is likely to speed up, causing increasingly serious loss and damage worldwide. Scientists warn, people suffer, activists plead. But governments at UN climate talks remain stuck in a zero-sum approach to negotiating with each other. Matters come to a head towards the end of every year when the United Nations Framework Convention on Climate Change (UNFCCC) holds a two-week meeting. Officially called the Conference of Parties (COP), the 2009 summit in Copenhagen had been billed as the defining one, where governments would finally commit to robust curbs on carbon emissions. The failure to get legally binding commitments set back the entire process. The 2011 COP saw a restart, with a new deadline of 2015 by which governments would negotiate a global deal to combat climate change. Three years later, there are still fundamental disagreements between rich and poor nations on what this deal should contain, what the legal form should be and who will police the whole agreement. This year’s COP in Lima is meant to put these essential elements in place so that the negotiations can start in earnest. That is what makes this year’s conference particularly important. ● Climate change is gathering pace and its effects are becoming increasingly evident, especially through more frequent and increasingly severe storms, floods and droughts. ● Greenhouse gas emissions – mainly carbon dioxide – are rising fast. Current voluntary emissions-control commitments by governments fall about 40% short of what is needed to combat climate change effectively. ● Policy options that can correct this course are available and economically feasible, though the cost keeps going up with every day of delay. The second development is the joint statement from Xi Jinping and Barack Obama at the APEC summit, through which China has committed itself to peaking its emissions by 2030, while the US has committed to cut its emissions up to 28% by 2025 from 2005 levels. This is a positive development in climate geopolitics that is expected to propel other governments, though the commitments fall short of what is needed to avoid even more dangerous climate change. ● Since the start of the Industrial Age, rich nations are the ones that have emitted most of the extra carbon dioxide that is in the atmosphere today, causing climate change, so rich nations have to take the primary responsibility for reducing emissions. ● The atmosphere belongs to all, so on a per capita basis rich nations have already taken up far more than their just share of the carbon space; now poor nations cannot be asked to give up their share at the cost of development. ● Rich nations have an obligation to help poor nations move towards a greener economy by providing finances and new technologies free of cost. Rich nations have not directly denied these charges, but – led by the US – have consistently blocked progress on these fronts. The US and other rich countries point out that emerging economies are now major emitters in their own right and that their share of the global total will continue to increase. China is the world’s biggest emitter, US second and India third, although India’s per capita emissions are about one-tenth of those of the US. China’s per capita emissions are just a quarter of US levels, but are rising sharply. These differences between industrialised and developing countries have been core reasons why climate talks have been largely stalled over the past two decades. Now, uncertain of the extent of support from China, the new Indian government – which seeks to be more US-friendly – is still trying to figure out what it has to do. 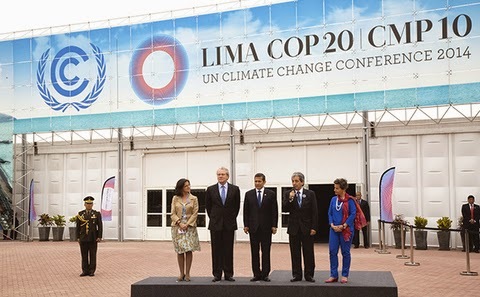 A veteran Indian government climate negotiator said: “The Lima COP is where countries will set out their stalls, in preparation for a year of negotiations. We shall do the same, and then see where it leads us.” There are strong indications that at least for the time being, India will make its case along traditional lines. India is already talking about the need for a deal in 2015 to add adaptation to the impact of climate, not just emissions reductions. The nation is also pointing to the lack of progress in providing finance and technology transfer, especially in meeting the commitment to provide US$100 billion a year from 2020. And the country’s negotiators in Lima are likely once again to ask rich countries what they are doing to bring down emissions between now and 2020, the year a 2015 deal is supposed to kick in. As for making its own voluntary commitment, India is unlikely to name an emissions-control target before it has to do so – there is a March 2015 deadline for all countries to do that – and the government continues to insist that there must be differentiated responsibility between rich and poor nations in cutting emissions. There is also the highly-vexed question of who is going to police the commitments expected under the 2015 deal. All countries are sensitive about their sovereignty, but countries will be asked to subject themselves to an international monitoring, reporting and verification regime. The Lima talks open on a note of ever-increasing urgency – shown by unprecedented climate marches all over the world this September, which drew thousands of people in the cities where they were held. Public engagement, the US-China deal, and long-awaited climate finance pledges provide the Lima negotiations with a glimmer of hope. People are asking if governments can build on this momentum and clear a path through the thorny details that have snagged COP negotiations so far. Joydeep Gupta is South Asia director of The Third Pole. For his contributions to environmental journalism, he won the 2012 Green Globe Award at the Delhi Sustainable Development Summit organised by The Energy and Resources Institute.